Well, there is a lot of time between now and the start of the 2013-14 NBA season beginning, but I figure – why not put out a season preview now that many of the big moves have died down for now! This upcoming season is looking as though its going to be one of the most dynamic and fun seasons we have had in many years. With teams like the Detroit Pistons, Houston Rockets, Los Angeles Clippers, Brooklyn Nets and Cleveland Cavaliers getting stronger this offseason, it looks as though the league will have a tremendous amount of parody for the next few years. The offseason has only been in effect for about 7 weeks, and we have already been treated to so many different storylines that are going to make a huge effect on the upcoming NBA season. The in-depth team-by-team predictions will come later on in the summer. Dwight Howard Will Lead The Houston Rockets Into the NBA Western Conference Finals. With the saga that took place during the entire season and into the early part of the offseason, I will be looking to see if Dwight Howard can finally find peace in one area and lead the Rockets over the hump and into the Western Conference Finals and into the NBA Finals. I believe that Dwight Howard is the missing key for the Rockets to getting over the hump and moving into the West Finals. For the first time, Howard is going to have a young, dynamic lineup around him that can grow with him over time and help to develop his skills by taking pressure off of him to be the main guy. Even with the Los Angeles Lakers when Howard was playing alongside Kobe Bryant, Pau Gasol and Steve Nash, all of those players were older and are on the backside of their careers. While Howard didn’t always show complete professionalism in choosing his destination, picking Houston was the right choice with all that the Rockets could put around him immediately. The Rockets were already a rising franchise in the league, losing a hard-fought series to the Oklahoma City Thunder in last season’s playoffs, but you could see that the team was truly coming together. With leading scorer and bonafide superstar James Harden leading the way, along with Jeremy Lin getting better and better at the point-guard spot, Chandler Parsons being a strong sharpshooter, Aaron Brooks being a great backup guard and Omer Asik being a possible starter down low with Howard, forming a twin towers situation, the Rockets can match up with any team in the league, and I believe that this year, Kevin McHale will take the Rockets to the next level and a conference finals appearance. McHale understands the up-and-down fun style of the players of today, but with his old-school philosophy and background, he will make sure that the Rockets play strong, physical defense as well, and Dwight Howard is as intimidating a force as any player in the NBA on the boards and shot blocking. The Detroit Pistons Will Be In The Eastern Conference Semifinals. NBA East Finals this upcoming year. Yes, I said it. 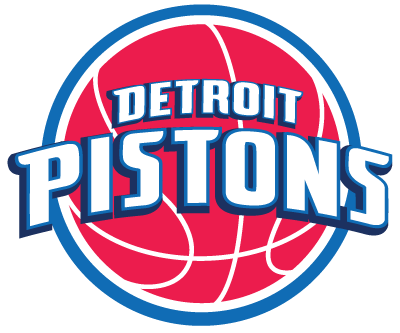 The Detroit Pistons will be a participant in the NBA Eastern Conference Finals. I know that is hard for many people to take in, but this team has completely revamped their lineup and on paper, looks like a squad that will be a force to be reckoned with. This offseason, the team signed Free Agent Josh Smith from the Atlanta Hawks and recently traded underachieving point guard Brandon Knight for the Milwaukee Bucks’ Brandon Jennings. To add on, they went out and resigned former Detroit Pistons guard Chauncey Billups, who was on the team during the NBA Championship team of 2004. The Pistons will look completely different this season with a possible lineup of Greg Monroe, a growing and developing Andre Drummond, and Josh Smith in the frontcourt, and Brandon Jennings and Rodney Stuckey in the backcourt. This team is athletic, has great low-post defensive presence, has veteran leadership in Billups, who can still hit three-pointers and play defense when need be. The organization had to make these moves, with rumors running rampid about Joe Dumars’ job being on the line by new owner Tom Gores, who bought the team last season from the Davidson Family. While Gores isn’t a true basketball guy, he knows a winning product, and Dumars has to perform this season and not live off of the championship of 2004 anymore. The team has not been to the playoffs in 4 seasons and in Detroit, that is not acceptable. I believe that the rebuild is finally complete and this team has a squad that can play with any team, any night and give teams around the league a massive headache. On the coaching staff, the Pistons hired veteran head coach Maurice Cheeks to work with the young guys into the new era of Pistons basketball, and with the team knowing that the key is going to be the big men down low, the team hired former Pistons Power Forward Rasheed Wallace as an assistant coach this season. This team has attitude, drive and skill on and off the court. Miami Heat, but for how long? LeBron James Will Win The MVP Again, 3-Peat with the Miami Heat & Then Go To The Lakers. The Miami Heat are poised and reloaded to win another NBA Championship. Hoo hum. We all know that the Heat have the talent and skill now to pull that off. The question will be what happens after the season and during the season. LeBron James is going into another situation where he can opt out after 2014 and can become a free agent again. When LeBron made the controversial decision in 2010 to go to South Beach and play with the Miami Heat with Dwayne Wade & Chris Bosh, it was met with much criticism of how the decision was made with the TV special and all. Looking back on it, it has worked out for all parties involved. The Heat have 2 straight NBA Championships, the Cleveland Cavs are building a young, dynamic team, and LeBron personally is having doors opened that he may not have had if he didn’t make the leap to go to a bigger market and win championships. He is being considered for President of the NBA Players Association, he has great business ventures around the world, and he is seen as an overall strong ambassador for the game. This is why I do believe he will look for a new challenge – which would be going to the Los Angeles Lakers. If the Lakers knew they had a chance to bring in LeBron James and possibly Carmelo Anthony as well, the Lakers can convince Kobe Bryant to come back for another year and have a dynamic lineup that would be hard to stop on a regular basis. The Lakers have been burned by the craziness of this past season with the Dwight Howard saga, and with Kobe having to come back from his ACL tear, the Lakers need to start looking toward a major youth movement, and having LeBron James in a Lakers uniform instantly makes the Lakers a strong destination again for free agents and players requesting a trade. From a business standpoint, LeBron’s brand will continue to grow in Hollywood with not only the basketball opportunities available, but the opportunities in movies, television and online branding. LeBron is a business now, and if he has built up the Heat as much as he can, then the next big move is tackle the second-biggest media market in the world. So, just a few thoughts and ideas I have about the upcoming NBA season, there will be much more later on. Hope you enjoy the weekend!